These are minimum pieces of information you need to understand why there are three levels of repositories containing data related to landscape management. System Landscape Directory: This is where landscape data mgmt. starts. The SLD gets and gathers data from the technical systems and provides this information for several client applications such as SAP Process Integration (for this client, in the SLD business systems are created manually) and SAP Solution Manager. Landscape Management Database: The LMDB is seen in this blog mainly as a tool uploading data retrieved from the SLD to the Customer Profile. But there are two more things: The LMDB enriches SLD data in several ways – automatically by agents and manually by adding information that is not exposed to the Customer Profile, such as business partner information, so the LMDB is your source for detailed information on your landscape. Customer Profile: For the Maintenance Planner it provides (only) those data required to calculate update, upgrade, and conversion of systems. By this, authorized access for users and tools is centrally possible, forming a source of truth making a joint approach to problem solving easier, for example in an incident. 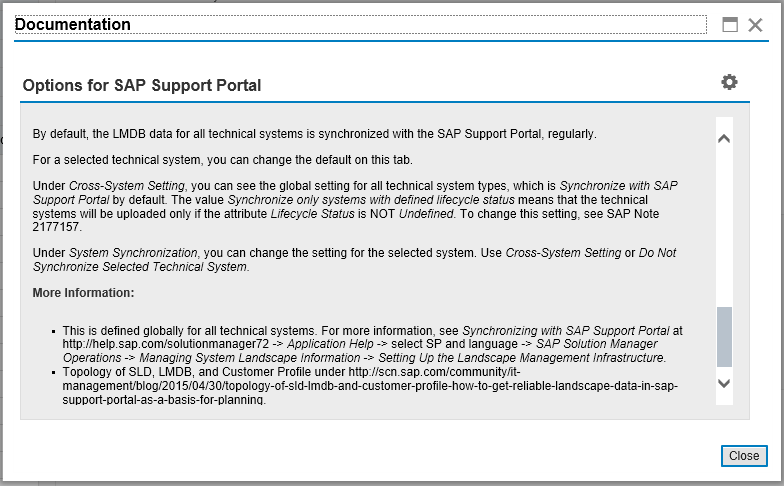 Figure 1a: Upload of data from customer landscapes into the SAP Support Portal Customer Profile: Data is sent to the SLD, synchronized with the LMDB and from there uploaded to the SAP Support Portal; (also see figure 5); access to system data in the Customer Profile is only possible through application using the customer number assigned to the technical system. The SID of the uploading SAP Solution Manager is also stored with the data. Figure 1b: Data flow from the technical system to the Customer Profile read by the Maintenance Planner in Detail. Questions on connections between technical systems, SLD, and LMDB are discussed in the topology part. Problems in permissions or authentication, e.g. in a VAR scenario. In such a case the technical system information for ABAP systems will be uploaded by generating a system_info.xml file from Support Package Manager (SPAM). In transaction SPAM, select Utilities -> Generate system info XML. “Add System” in the Explore Systems area. This works for AS ABAP based systems only. It should be regarded being a work-around: Data uploaded this way will not be updated automatically, so uploading data via the LMDB is highly recommend. The process of sending data to the customer profile, however, will only deliver good data quality, if the involved systems (SLD, LMDB, and their connections to the customer profile) are set up sensibly. This network of systems managing landscape data is what we call their topology. scheduled landscape fetch job or via manual direct upload to the SAP Support Portal. 1 SAP Solution Manager in role = prod., one = test: Only prod uploads via landscape fetch or via manual direct upload to SAP Support Portal. Since Solution Manager system with role = test do not upload data to the SAP Support Portal, the handling is almost the same. Figure 3 shows default setup with a test system of SAP Solution Manager: 1 SAP Solution Manager uploading data. SAP Solution Manager in role = productive uploads via scheduled landscape fetch or via manual direct upload to SAP Support Portal. Note, that one SLD provides data for both Solution Manager systems so that their input is identical. Here, test systems of SAP Solution Manager are not shown. This scenario is only valid, if both SAP Solution Mangers get completely separated data: Separate SLD for each Solution Manager with no data exchange required plus unique SID/host name combinations (to be ensured by a naming convention) are required. The reason is that otherwise, you would violate the unique-path-principle, sending data of the same system through different paths, so that contradicting versions of the same system would be shown: System data of the same system would turn up twice, separated by the Sap Solution Manager uploading the data: Such a setup can happen at value added re-sellers and big customers having separated IT landscapes. Figure 4a: What may seem as being same scenario as in figure 3, is invalid: both are productive SAP Solution Manager systems get the same data being connected to the same SLD and both are productive, uploading data. Figure 4b: Both SAP Solution Managers get completely separated data (from separated landscape areas) being connected to separate SLD for each SAP Solution Manager system with no data exchange required plus unique SID/host name combinations (to be ensured by a naming convention). Figure 4c: Another invalid scenario would be using different SLD systems, which have connections by transport, forwarding, or sync. Figure 5c: SAP Note 2177157 related to the Cross-System-Settings. In case of problems, see Uploading, Accessing, and Trouble-Shooting System Data in the Customer Profile Used for Planning Changes in Your IT Landscape for a comprehensive list of relevant SAP Notes. This is an excellent article Wolf! Your info graphics and example scenarios make it very easy to understand how landscape data can be replicated on the SAP Support Portal. See my thread, what is the replication time on the SAP side between tools? My system data is replicated to my SAP Customer profile with no issues. I can push the data manually by LMDB or the fetch job. This works well. I could see my sandbox reported with the proper timestamp and reported by system. The issue I had was the time it took between the SAP Customer profile to update the SAP Maintenance Planner tool. On the SAP side, what are the expected timelines to have a system replicated from my customer profile to the SAP Maintenance PLanner tool?